It's the best news many have heard from Washington, DC in a long time and it looks like the release of folk band, Wylder's new single, "Ready to Break" couldn't have come at a better time. 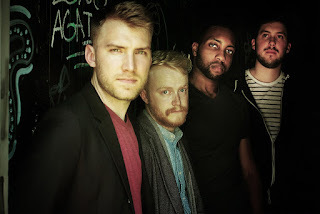 Arriving over 6 months since the release of their 2018 album, "Live at White Star Sound" - a small 4 track EP that left a lot of ears watering, it has hungry fans, who can't get of that sweet, organic, infectious sound only the Washington quartet can deliver raving with excitement. The new single was released on the 16th of November and is available to stream and download on iTunes/Apple Music, Spotify and top digital music services.